Home / AUTISM / An Autism Detection App on the Cards? Scientists are reportedly involved in developing an autism detection app. They however say that the software has not been designed to work as a self-diagnostic resource. Rather, it can be used as a screening tool to detect autism spectrum disorder. The scientists said that in future, the app may be used to screen and detect other developmental and health issues, like post-traumatic stress disorder (PTSD), depression, and even traumatic brain injuries. But it’s too early to speculate whether the app will be effective for the purpose for which it’s being developed. There’s no particular medical test which can confirm the presence of autism spectrum disorder in a child. Detection is always symptom-based and the therapy methods vary according to each particular case. According to conservative estimates, about one percent of the world population, which includes more than 3.5 million in the US, is affected with autism spectrum disorder. Therapists and educators say that while an app may be able to pick up the differences among people having PTSD or autism spectrum disorder, it will be foolhardy to predict whether these differences can conclusively prove the presence of these conditions. Each person with autism is likely to have symptoms different from the other. Even the so-called “common” symptoms could vary widely. But it’s encouraging nevertheless that studies are being carried out to detect the presence of autism spectrum disorder better. Therapies can only be suggested after proper detection. 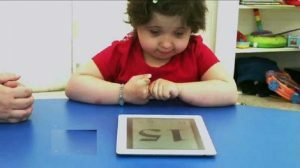 With the disorder largely going undiagnosed, development of the app could be a step in the right direction.